North West's Mick McGeady fired five birdies and an eagle in a six under 66 to lie just one shot off the lead after the first round of the PGA Europro Tour's Break90 Classic at De Vere Slaley Hall. The Donegal ace, currently 28th in the PGA Europro Tour money list, had just one bogey in a fine opening effort in windy conditions on the Priestman Course at the Northumberland venue. Sheffield’s James Maw shot a magnificent 65 to lead by one stroke on seven under par from McGeady and Scotsman Ross Kellett while Stiggy Hodgson carded a first-round 67 which included three eagles to to sit alone in fourth on five under. Waterville's Mark Murphy and Clandeboye's Jonny Caldwell are tied 26th after one under 71s with Glasson's Colm Moriarty tied for 39th after a 72. PGA Tour — Padraig Harrington's hopes of securing the Top-2 finish he needs to make the FedEx Cup playoffs were dealt a massive blow in the first round of the Wyndham Championship in Greensboro. 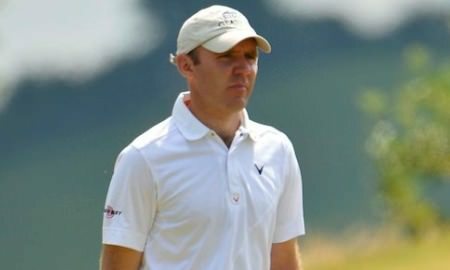 Colm Moriarty Paul Doherty and Colm Moriarty shot three under 69s to share the first round lead at the Kingspan Concra Wood Open on the PGA EuroPro Tour. Colm Moriarty takes a one-stroke lead into the final round of the Sweetspot Classic on the Europro Tour. 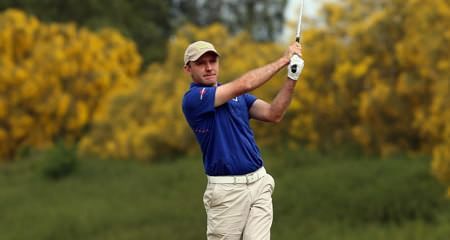 Colm Moriarty shot a five under par 65 to take a one-stroke lead into the final round of the PGA EuroPro Tour’s Sweetspot Classic at Longhirst Hall in Northumberland.